For some strange reason, while I was following ACTION COMICS relatively regularly, I wasn’t similarly picking up every issue of SUPERMAN. This latest issue would be my first in months. 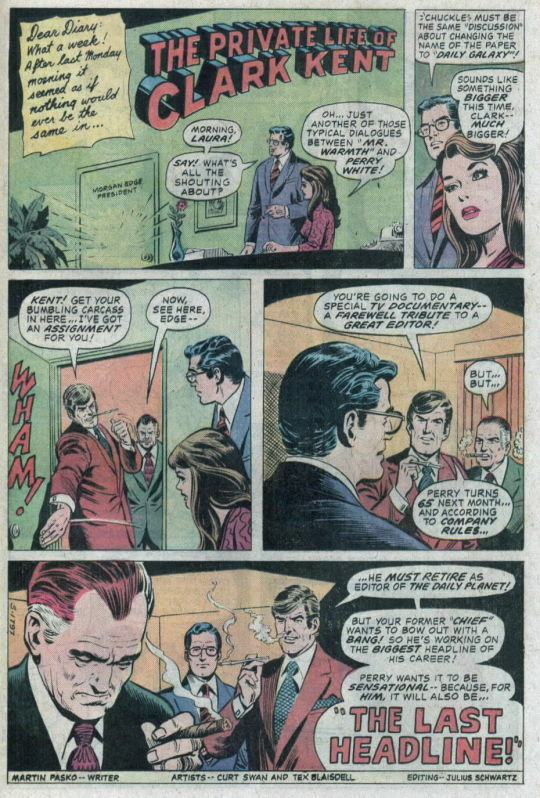 It’s also worth pointing out that, at this time, even SUPERMAN wasn’t published monthly. 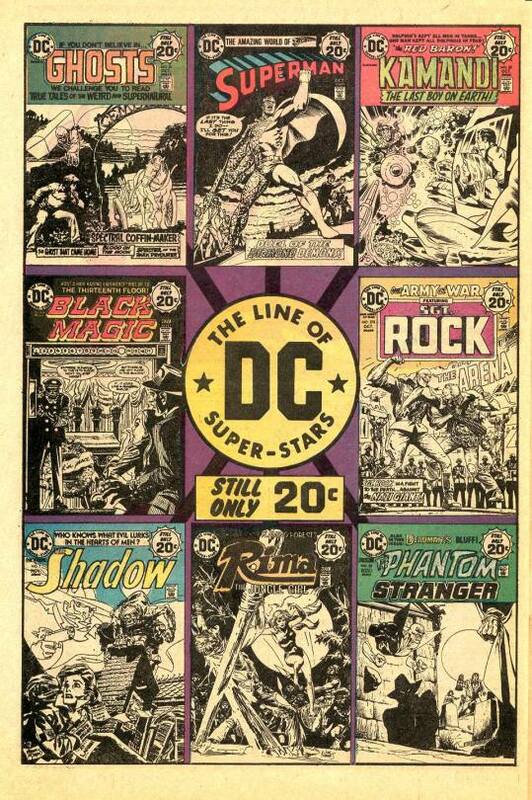 DC was still following the pattern that they’d established in the Golden Age which had the anthology series monthly, but virtually everything else on a seasonal schedule. It’s also odd that I picked this issue up, as I didn’t like the cover. I found something about Superman’s face and the heavy black background unsettling. I had seen it previously in the house ads touting that month’s releases–the only true super hero book included, so maybe that played a role in the selection. 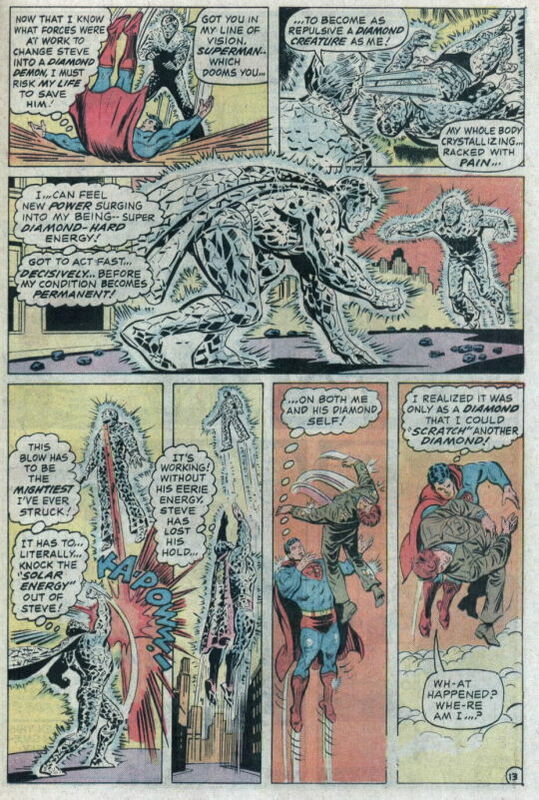 It wasn’t a favorite issue, despite some nice art from Curt Swan and Bob Oksner, a team I really liked. It’s a story that focused heavily on Steve Lombard, a character who had recently been introduced into the Superman mythos to give Clark Kent his own regular tormentor and fall guy at work, in the mold of Flash Thompson in Spider-Man. As a running gag, I enjoyed Steve just fine, but his antics were harder to take as the spine for a story. And this story leans heavily on them. 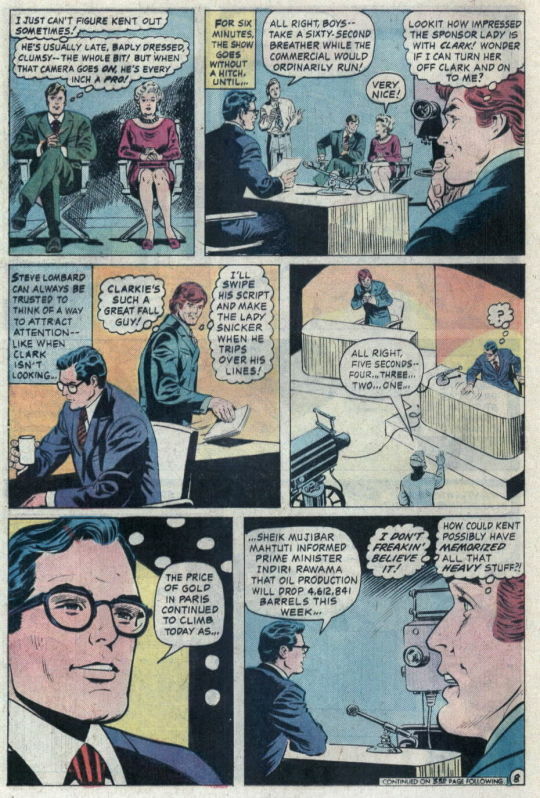 With the ratings for their news broadcasts slipping *this was the era in which Clark Kent was a network anchorman rather than a newspaper reporter) WGBS owner Morgan Edge tells Kent and Lombard to get their act together. This doesn’t stop Lombard from pranking Kent relentlessly throughout the opening. Oh, and Superman saves a collapsing bridge. Using his advantage kind of unfairly, Clark brings in scoop after scoop on Superman’s activities, getting the ratings back up. 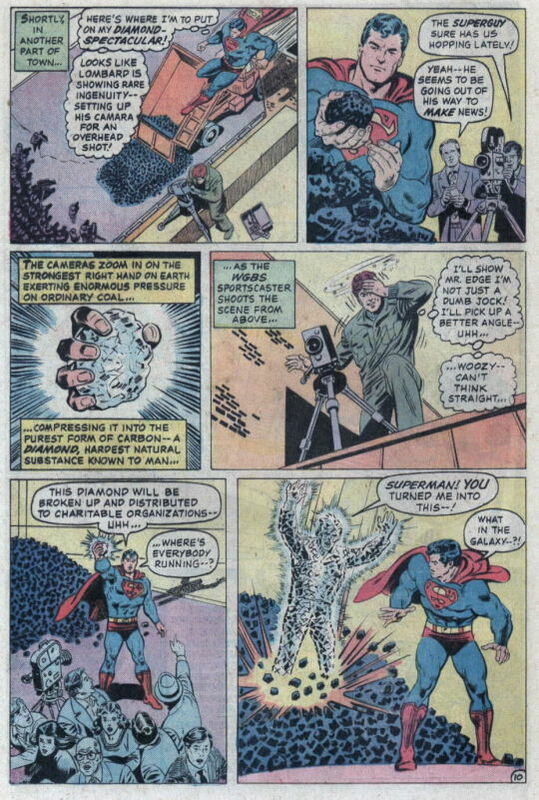 He’s successful enough that, when Superman is to make a charity appearance, Edge assigns Lombard to cover it, to give Kent some time off–which is advantageous, since he has to be there as Superman anyway. But as Superman demonstrates his trick of squeezing coal into diamond, Lombard is similarly transformed. This is explained by–well, not to put to fine a point on it, but it’s explained by nonsense. 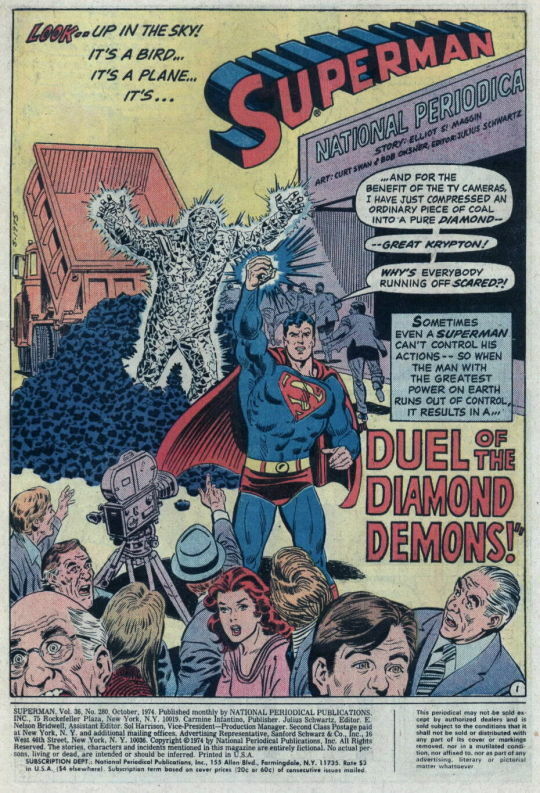 But Steve is now a diamond creature, so Superman has somebody to wrestle with in this story. 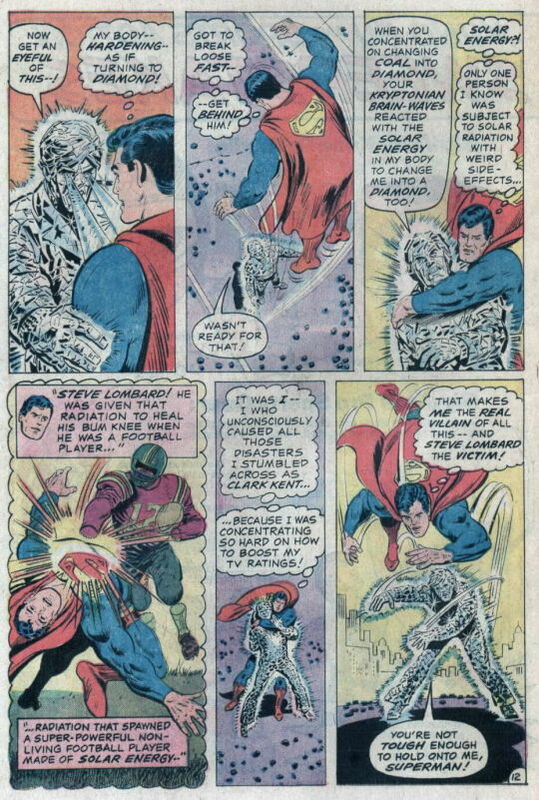 Superman’s solution is to punch Steve so hard that the transformative radiation is knocked out of his body. Yeah, it’s nonsense that saves the day as well. In the end, everything returns to the status quo, Kent pulls a retaliatory prank on Lombard, fade to black. As a story, it’s about as underwhelming as you could get. 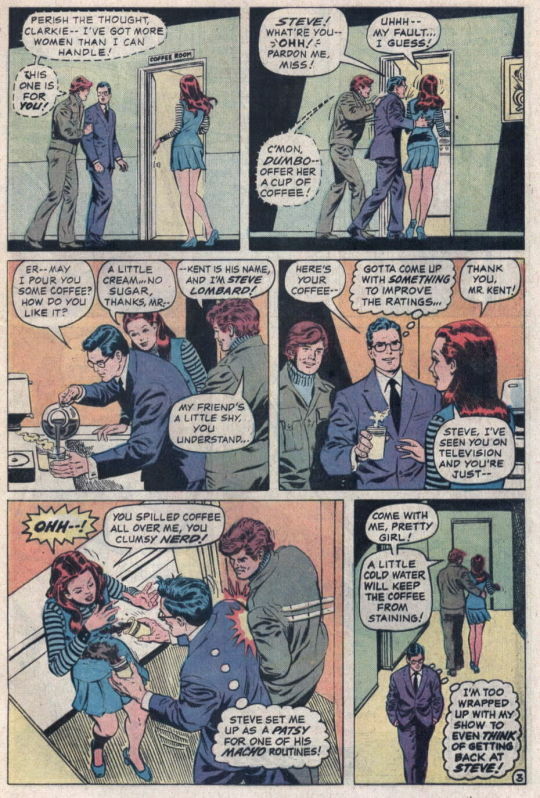 The back-up is a lovely tear-jerker of a story in which the Daily Planet staff rallies to save Perry White’s job as Editor, when he reaches the mandatory retirement age, and Morgan Edge is ready to put him out to pasture. But all-in-all, I found this to be a pretty dull issue of SUPERMAN–maybe that’s why I wasn’t reading it more regularly.